Want to know where’s the new cool hangout? Visit Tab x Tab. Having passed its first year anniversary; you have to come and visit this independent café on Westbourne Grove, in Notting Hill. Home to designer boutiques, the famous Portobello Market, rainbow coloured townhouses and crowd-pleasing restaurants. This West London destination has for decades celebrated its cosmopolitan mix of cultures. Most importantly, it blends the most diverse community. With the locals being the heart and soul of this village-style residential area. Therefore, making this intimate part of town so personal and incomparable. It was on my walk to Hyde Park, when I stumbled across Tab x Tab. Lured in by the customers basking in the sunshine underneath the hanging plants. I noticed this slick and modern café commands my attention from all the common chain suspects on the road. Tab x Tab is the cool kid on the block, without a doubt! Evident by the constant stream of people popping in. With its happy customers posting rave reviews, the talk of this new café is gathering momentum and capturing an international audience. Tab x Tab’s approach is providing their customers with everyday luxuries that you can’t get at home. Solidifying why this venue is a fantastic hub to visit. When entering the café, prepare for the immediate delight that you are not swapping your home comforts for a rigid chair in a dingy café. You come to realise, that the venue’s design feels like your second home. Who wouldn’t want to visit an inclusive and inspiring environment every day? It has enough comfy seating and strong WiFi to make any modern worker content. Welcomed into this café, you are immediately treated by a team that is enthusiastic and dedicated to providing consistent, specialty and exclusive products. This manner of hospitality leaves you eager to try new products. What compels you to return, is discovering the perfect everyday irresistible offering won’t break the bank. To fit in with their high-end café concept, the decor follows suit. With the wrap around glass front, that represents the focal point from the street. Upside down hanging plants, offer natural vegetation and design. Beneath the plants, several modest tables and chairs are dotted in front of the entrance. As you walk through the doors, be stunned by the gigantic yet impressively sleek concrete counter. Immediately behind the counter is the open kitchen, where the team prepares the á la carte dishes. The decor inside leans towards a darker colour palette with subtle luxury detailing. A handmade wooden communal table is placed in the left-hand corner of the café. Styled with a bouquet of flowers, that garnishes this area. Take a look at the wall behind the communal table, you will see a display of dots. These dots symbolise something, can you guess what it might be? Ok if you haven’t guessed, it’s a digital clock! Designed and created by the magician and hacker, Tom London. He is best known for his well-received performances on America’s Got Talent. Tom, masterfully created this uber cool visual display. Making this the centerpiece, that ties all the design elements of the Tab x Tab cleverly together. The menu stimulates an overwhelming desire to order one of everything. Being a massive brunch fan this venue is a brunchers paradise! 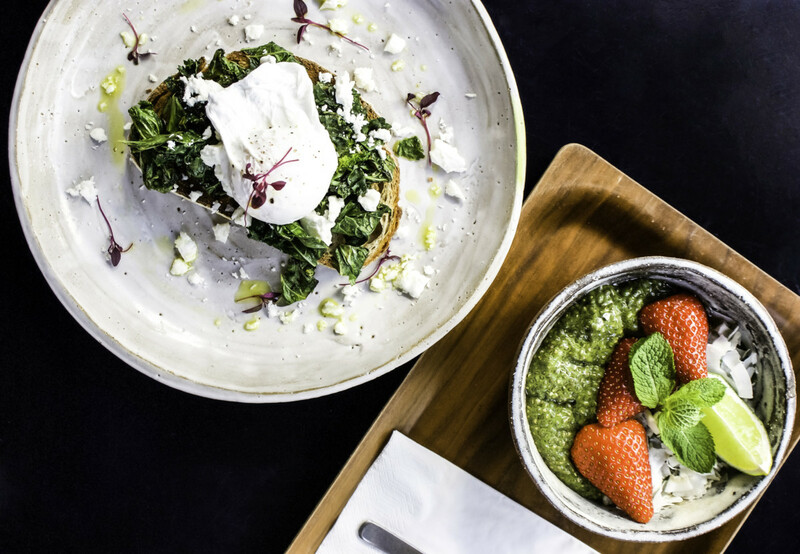 Tab x Tab offers an ingredient-focused breakfast and lunch menu; so no problem selecting a dish here! Speaking with Mathew Tabatabai, he expressed the love of three key elements; taste, balance and fresh ingredients. Mathew and Charmaine Tabatabai decided to keep the dishes small, allowing the hearty dishes to have a sophisticated flair. Above all, they focused on ensuring that every dish is fresh and meticulously plated each time. The delicious counter display of assorted pastries and cakes; are provided by an outside bakery called flour station. Here you can see some of the dishes you can look forward to trying. Be warned – the colours, textures and the details on each of these plates, making it almost too good to eat. 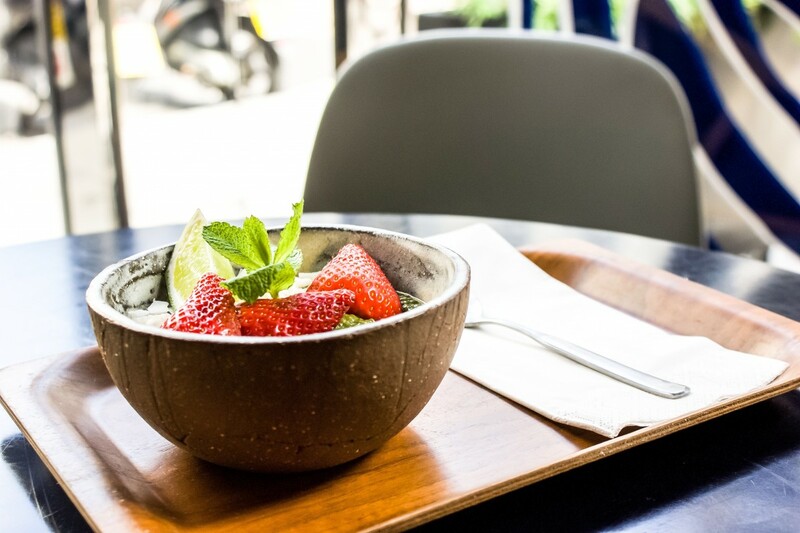 The matcha chia bowl is beautifully presented in a decorative coconut shell. It is distinctively portioned with enough elements to provide you digging for more. The smooth-seeded chia texture with the crunch from the coconut comes together in absolute harmony. Leaving the fresh and ripe strawberries decoratively laying on top for easy pickings. 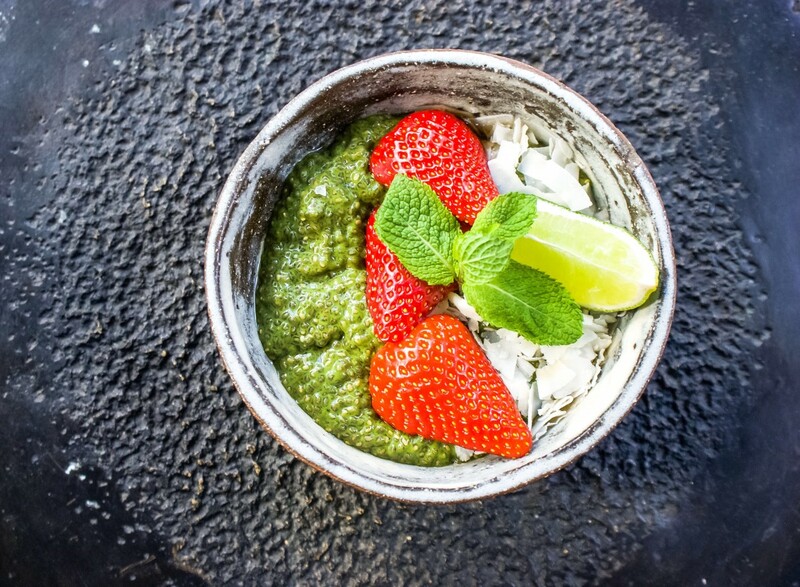 An exciting exotic breakfast bowl makes for a nourishing first meal of the day. 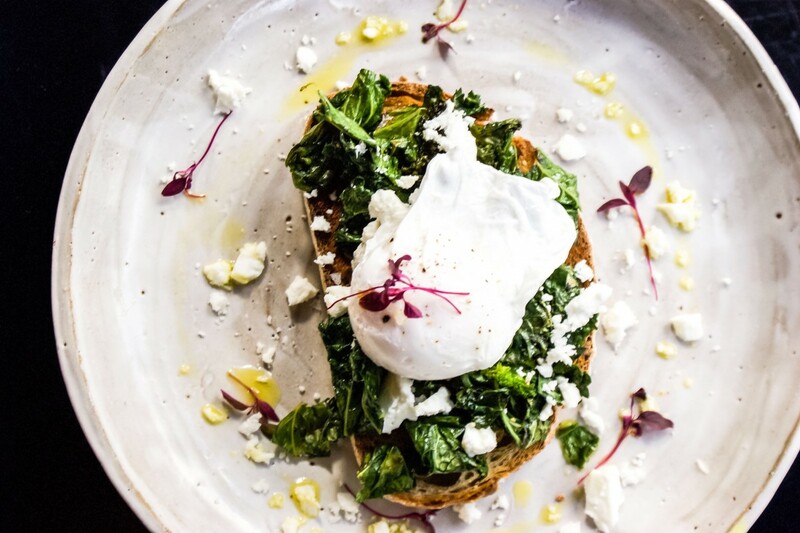 The thick cut of sourdough is lightly toasted and buttered before it is topped with wilted kale, a sprinkling of feta and finished with a poached egg. It is artistically served on a handmade Kana London ceramic dinner plate. 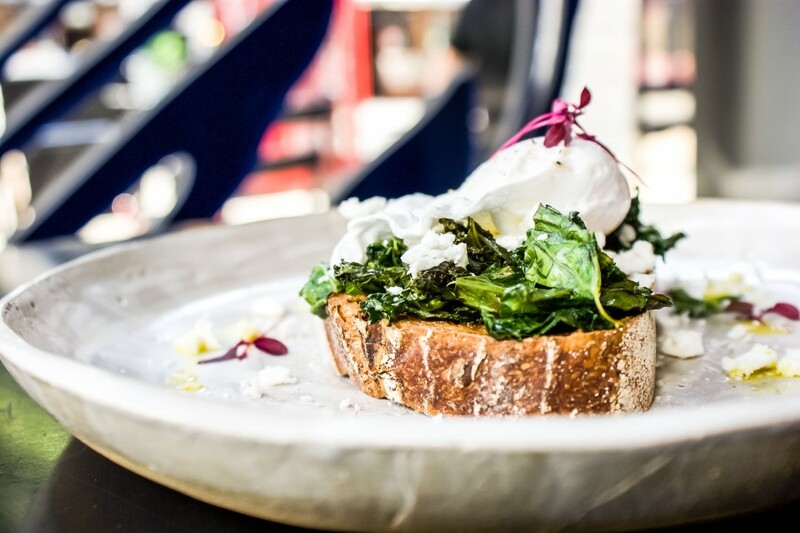 Tab x Tab has been innovative and revamped the traditional Eggs Florentine, bring us a light exquisite brunch favourite. It doesn’t stop at the soul-satisfying food menu, Tab x Tab has also given their drinks a special twist. Why not quench your thirst on a deliciously infused Assam and green tea. The green tea is supplied by Lalani & Co, who offer small batch fine teas. This naturally flavourful tea is handpicked from the foothills of the Himalayas. It is in the store where the aromatic fine tea, takes up to 16 hrs to infuse with strawberries. Resulting in a light blend of floral and sweet aromas, that come together to make the perfect ice cold drink. If you’re a coffee addict don’t worry, there’s an ice cold drink here for you too. Enjoy a Tab x Tab espresso ice coffee, which has also been infused for up to 16 hrs in the fridge, then served chilled as a long drink. For those who can’t start their day without a fresh brew of coffee. Tab x Tab is the only place in London where you can sample an Amsterdam blend from Bocca roasters. If you’re not completely sold on the Bocca blend, then you can try the Ozone coffee blend. I promise you, that you won’t go back to drinking substandard coffee once you have given these a try. Tab x Tab is no ordinary coffee shop. It has a retail corner that has been carefully curated with homeware and lifestyle items. Customers can shop Linda Bloomfield tea ware and Kana London ceramic coffee mugs, that have been exclusively designed for Tab x Tab. A gaiwan is an item that you might be unfamiliar with. This teaware tool is designed to brew and serve fine loose leaf teas. It is a sustainable and essential tool, that Tab x Tab use to perfect their brews. The small compact design of this teapot helps to not over brew the tea. Don’t be concerned by the size of it, as you can reuse the loose tea leaves. Giving you up to 6 glorious cups of tea. To sum up, there is no doubt that Tab x Tab is a cool hub for people to gather. 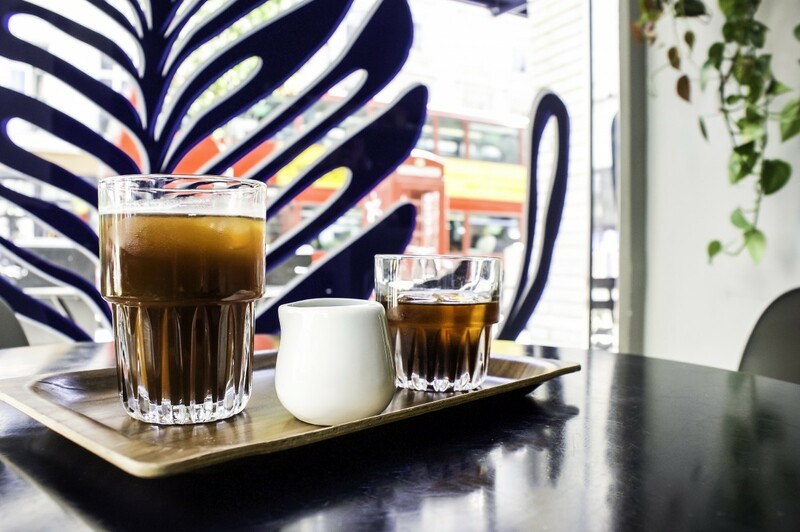 The team behind the cafe serves some of the best coffee and fine teas in Notting Hill! Customers can come here to meet up with friends, taste their palate-pleasing dishes and buy beautiful handmade tea ware products for their home. A lot of love and dedication has gone into this coffee shop and it is well worth your visit. Read the full interview with Mathew and Charmaine Tabatabai here. Previous Post Spotlight Interview – Who’s Behind TAB X TAB?